The VPD-4 Multipurpose 4-Wheel Dolly Kit from Cambo can be used as either an on or off-track dolly by just changing the wheels. The VPD-4 Dolly includes a detachable rotating seat, and the specially designed track wheels deliver good performance on any universal 24.4" track. This kit consists of the VPD-44 Platform, VPD-33 Push Bar, VPD-55 Rotating Seat Unit, VPD-77 Tracking Wheel Set, and VPS-1 Pneumatic Pedestal. For storing and transporting the dolly, the kit includes the Cambo VPD-444 Flight Case, which is a heavy-duty case with roller wheels and two carrying handles. 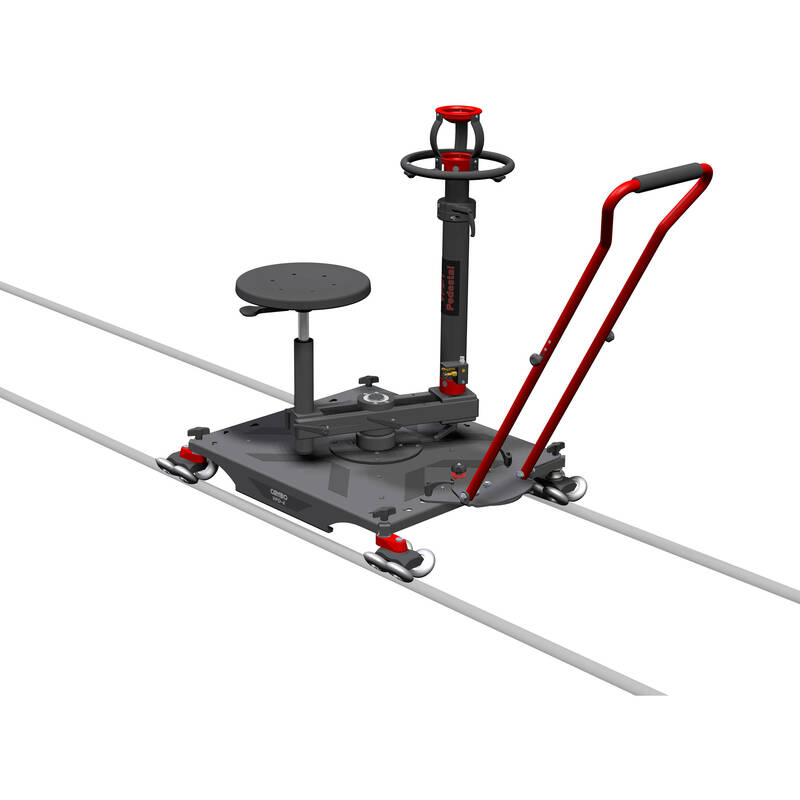 The Cambo VPD-4 Multipurpose 4 Wheel Dolly Kit is a high-quality system that can be used as an on-track or off-track dolly just by changing the wheels. The VPD-4 Dolly System includes a detachable rotating seat. The specially designed track wheels deliver excellent performance on any universal 24.4" (62 cm) track. This kit consists of the VPD-44 Platform, VPD-33 Push Bar, VPD-55 Rotating Seat-Unit, VPD-77 Tracking Wheel Set, and VPS-1 Pneumatic Pedestal. The Cambo VPD-444 Flightcase for VPD-4 Dolly System is a heavy-duty transport case for the VPD-4, featuring roller wheels and two carrying handles. Box Dimensions (LxWxH) 34.0 x 29.5 x 23.0"
Box Dimensions (LxWxH) 38.0 x 29.0 x 29.0"